3 Days of shuttles. We meet you at your car each day. Aire River to the 12 Apostles 57.5km. Starts Thursdays. 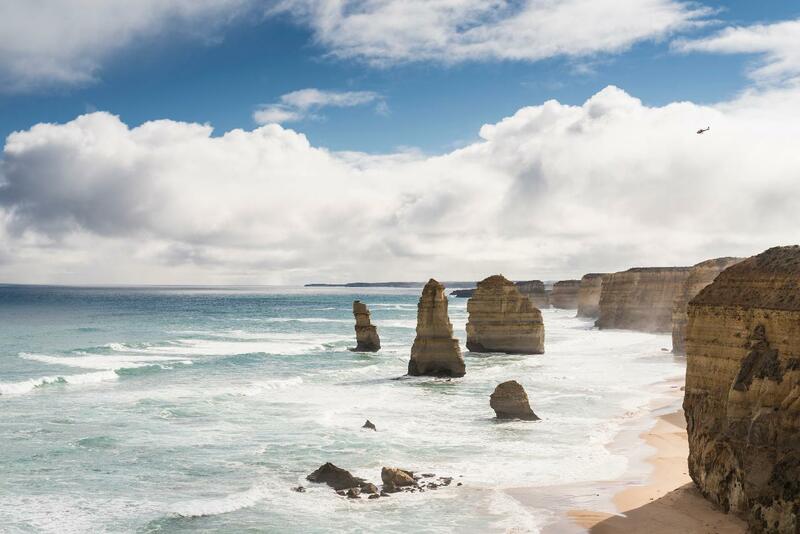 Three Days of shuttles to complete the Great Ocean Walk as listed below, starting on Thursdays. Walk notes emailed on booking. This is a Self Guided Walk of approx 57.5 km, utilising your own car. Great Ocean Road Shuttle meet you at your car & drop you back to the days starting point. In the afternoons you drive to your accommodation of your own choice, at your own cost. (Please check availability with us before you book your accommodation). Bus shuttles transfers are provided as listed below, you book and pay for your own accommodation and food. Times below are approximate and will be re-confirmed on booking. if this is what you wish to do and follow him in your car to the 3 ways sign post (Hiders Access Road/Old Coach Road/Milanesia Road), leave your car there, and hop in the bus. 9.10am Bus transfer to Parker Hill Campground. ETA Parker Hill Campground 9.40am. You walk back to your car. Leave your car at 'The Gables' car park. 8.50am Bus transfer to Milanesia Gate. ETA Milanesia Gate 9.20am. You walk back to your car. Leave your car at The 12 Apostles car park. Meet at the back exit of the large kiosk building, by the sliding doors, facing the car park. transfer to The Gables. ETA The Gables 9.15am. You walk back to your car. Please meet at the v-line bus stop outside the Apollo Bay Information Centre. know where to leave your car and to navigate the walk. Also visit Parks Victoria's official website for all information / safety information regarding the walk. · To be fair to other walkers we must depart at the prearranged times confirmed on booking. not fit). Only book this bus service if you are confident that you are walking within your means. This is a self-guided unassisted walk and GOR shuttle provide the shuttles for the suggested itinerary listed above only. · Please read our terms and conditions. track so you must bring your own – enough to last the days walk.